Hemp dates back to civilization of man. It played a necessary role in the founding and building of this country. However, it has been absent for many years. Although, we will start to see a lot more of it within coming years. Hemp production was widespread, until 1937 when the Marijuana Tax Act of 1937 was passed. Michael Bowman, founder of FirstCrop and National Hemp Association member, says hemp is a relative to marijuana, sharing similarities and differences. Hemp production was then “laid to rest” in 1970, following the signing of the Controlled Substances Act. The Controlled Substances Act listed industrial hemp as a Schedule I controlled substance. “Schedule I drugs, substances, or chemicals are defined as drugs with no currently accepted medical use and a high potential for abuse,” according to the United States Drug Enforcement Administration (DEA). However, determined activists helped pave way for the legalization of hemp. A shift in policy took place, starting in the fall of 2012, when Colorado and Washington became the first two states to legalize industrial hemp. Since, forty-one states have legalized hemp. 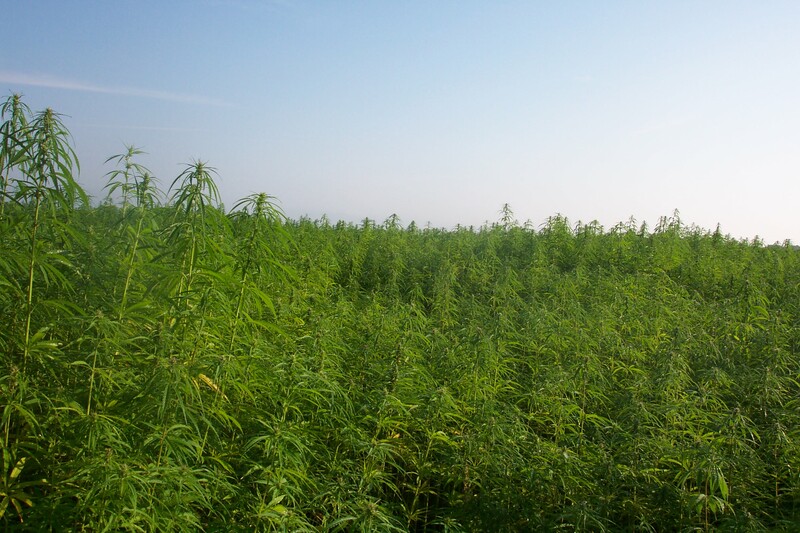 In 2014, Farm Bill legislation included a provision, known as Section 7606, which allowed states who had legalized hemp to allow farmers to grow hemp on a research basis. Then in Senator Mitch McConnell changed language in the 2018 Farm Bill, which fully deschedules hemp, returning it for use as an agricultural crop. Bowman talks about the opportunities this legislation provides. Stay tuned to the Iowa Agribusiness Radio Network for hemp’s potential as a crop in Iowa.